Improving sports performance is important to all athletes. Many look for an edge. Some look for natural while others reach for performance enhancement drugs (PEDs) which are banned at competitive levels. Staying active is important to maintaining health and graceful aging. Our Freehold Chiropractor has been helping athletes of all levels over the last 17 years remain active and healthy. flexibility, strength and coordination. All of which are important to athletes. Most college, pro and olympic athletes take advantage of the natural edge this provides. Almost every MLB, NFL and NBA team has a chiropractor on staff. Chiropractors have been officially working with Olympic athletes since 1976 and the most recent London Olympics in 2012 had over 100 chiropractors for the US team. So lets discuss 7 ways chiropractic improves sports performance naturally and legally. Chiropractic allows the joints and musculoskeletal system work in conjunction to reduce stress. The joints allow for motion and the muscle contractions move the joints. When a joint is moving properly, the joints don’t have to overwork or strain. One study of Australian football players was conducted in 2010. The players all received sports training but half of them also received chiropractic care. Those that received the chiropractic were less likely to experience lower limb muscle strains and missed less time due to due to non-contact knee injuries. Back Pain is one of the most common problems suffered by people. It is also very common in athletes leading to missing games and disability. A study, Treatment Options for Low Back Pain in Athletes, shows chiropractic as the most evidence based supported treatment along with superficial heat compared to traditional medical treatments. NSAIDs and muscle relaxants are commonly recommended but just mask the symptoms and have severe side effects. Many athletes experience injuries to their feet, knees, hips, shoulders, elbows and wrists. Some chiropractors work just on the spinal regions but sports chiropractors also work on the extremities. Sports performance improves when the extremities are corrected. Ankle injuries are very common in athletes. Usually once injured, recurrent ankle sprains are common. A study of ankle sprains compared athletes receiving only rehab to another group that also received chiropractic adjustments. The chiropractic group showed quicker reduction of pain and improvement in joint motion. This is important in reducing inflammation and speeding up recovery for an athlete to get back to action. Speed, reaction time, jumping, coordination are all important to help an athlete perform at their best. One particular study showed improvement in vertical jump height. 22 female handball players were split into a chiropractic treatment group and a control group. By improving talocrural joint dysfunction with chiropractic adjustments there was a noticeable improvement compared to the other group. Do you think athletes would like to be stronger? When you get adjusted it removes interference to the nervous system. This allows your body to function at its best. Those nerves innervate every muscle in your body. If the nerves have pressure on them, there can be decrease in strength. A study of 18 Judo Athletes compared results of half of them receiving chiropractic adjustments and the others receiving sham treatment. Results showed those receiving chiropractic treatment had improved grip strengths. Chiropractic helps the biomechanics of the body which improves sports performance. When there are imbalances in the legs, there are differences in strength and range of motion. One study was The Effect of Spinal Manipulation on Imbalances in Leg Strength. The runners under chiropractic care had increased hip extension and improved joint function as well as more balanced strength in their legs. Another study in Canada included chiropractic care as part of the rehab program of 16 injured female long-distance runners. Now only did the runners recover more quickly but seven of them actually had their personal best times while under care, although other contributing factors could have helped. Hip and back pain are common in golfers. Golf swings are a repetitive motion which put added stress on the hips, lower back joints and discs. A case study of a 49 year old golfer was in therapeutic treatment which included chiropractic care. She was suffering with osteoarthritis for 5 years. During the 6th treatment she reported her left hip being much better and by the 8th visit both hips were feeling good. After 6 months she reported no more pain. An Article in Dynamic Chiropractic, Golf and Chiropractic, discusses golf swing myths and chiropractic intervention. Athletes like the fact that chiropractic addresses the cause of their problems to improve sports performance. There is no taking medications that mask the symptoms. There are no side effects. Athletes are able to recover more quickly and many times avoid surgeries which at times require long recovery periods. Some chiropractors utilize soft tissue techniques like Graston or FAKTR to break up scar tissue, therapeutic stretching and nutrition to help athletes recover, be more healthy and excel. There is growing evidence of the safety and effectiveness of chiropractic care for everybody, not just athletes. Would you like to improve your sports performance or recover more quickly from an injury without drugs or surgery? Our top rated Freehold chiropractor can get you back on track! Give us a call at 732-780-0044. Are You Sabotaging Your Health and Recovery? 1) Hydration: Your body is made of many tissues. Muscles, tendons, ligaments, organs all comprised of cells that require water. Think of a sponge. If it is kept wet, it is pliable. You can bend it or twist it and it is more resilient. BUT if you let the sponge dry out, it gets hard and brittle. Try bending the sponge now and it will break and tear. When your body is dehydrated, it is like that dried out sponge. It becomes brittle and fragile. It tears easier. Your tissues and cells require water to be healthy. Being dehydrated is sabotaging your health and recovery. 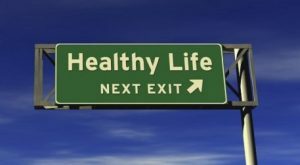 Stop Sabotaging Your Health and Recovery! Unfortunately most people do not drink enough water and on top of that you drink caffeinated beverages like coffee that dehydrate you. Your body needs half your weight in ounces of water per day (eg. if you weigh 150lbs you need to drink 75 ounces of water per day). If you drink just one cup of coffee per day it negates up to 4 to 8 glasses of water. I recommend that you cut out the coffee and try for just 30 days to drink the required amount of water and see how much better you feel. 2) Inflammation: Swelling is a response to injury, trauma and an unhealthy body. Even a poor diet and dehydration can lead to an increase in inflammation. Inflammation in your body leads to many diseases and even cancer. This is another factor sabotaging your health. Many people take NSAIDs or pills that help decrease the inflammation but these pills are dangerous and have many side effects. By changing your diet and using natural supplements, we can reduce your inflammation naturally. In our office, we have a product call Inflammation, which is 20 herbs and botanicals to help your body reduce inflammation. 3) Tight, hyper muscles: Your muscles get tight to splint the areas of concern. Also, dehydration leads to tighter muscles. Stretching is a key component not only of your treatment plan, but to be done on a daily basis to help your body reduce stress built up each day while sitting or standing at work or doing other daily activities. It’s like brushing your teeth! You don’t only brush your teeth when the dentist finds a cavity do you? No, you brush daily to help prevent future problems and your teeth from falling out. At least your teeth can be replaced. You are born with one spine, and just like your teeth, the bones and discs decay when you don’t take care of them. Your spine cannot be replaced, so take 5 minutes a day to do stretching. Here are some links to stretching we show patients: neck stretching, low back stretching and leg stretches. Also, getting adjusted regularly is proven to help prevent spinal degeneration and improve overall body function, as well stopping the sabotaging your health. 5) Nutrition: Your body needs quality nutrition to heal tissues. Nutrition is the fuel for your body to run. Just like a high performance car, if you put low grade fuel into it, the car will drop in efficiency and start having problems. Your body starts to crash, have less energy and is less healthy when you put low nutritious food into it. Your body also needs the vitamins, minerals, quality protein to help tissues to heal. Many processed foods are depleted of vitamins and minerals you need. Even organic foods aren’t what you are made to think they are. Our soils are deficient in elements from overuse. Studies show that you have to eat 10 apples today, to get the value of one apple from the 70’s. Another study shows you’d have to eat 50 bowls of spinach to get the value of 1 bowl from the 70’s. These are scary stats. It’s so important to supplement with a quality multi-vitamin, mineral, antioxidant and omegas. Many patients tell me they take a vitamin: centrum, one a day, GNC daily or others. You have to know these vitamins are not bioavailable. This means they do not break down in time to be absorbed into your body. Research has shown many of these supplements even get stuck in the intestinal walls and cause inflammation in the gut. I had one patient that didn’t believe me and when we sent her for an X-ray of her back, the results came back stating multiple supplemental pills likely stuck in the intestinal mucosa. Once we got her off the centrum, stomach problems and joint pain she had for years, started to go away. Another 80% of the United States population is deficient in Vitamin D. Vitamin D serves several important functions in the body. These include: promoting calcium absorption (women tend to experience osteoporosis), maintaining normal calcium and phosphate levels, promoting bone and cell growth, reducing inflammation. A deficiency in Vit D alone can lead to difficulty thinking clearly, bone pain, frequent fractures, muscle weakness, fatigue and more. Are you ready to stop sabotaging your health? Are you ready to make your health and body a priority? Do you finally want to feel the best you can? Are you ready to enjoy a long, healthy life? If you answered yes, feel free to contact me. The hydration is an easy thing to improve on. I can also help you with weight loss. We have the number one weight loss program available as it addresses not only weight loss, but nutrition, anti-inflammation, removing toxins from the body and much more. We also have a proprietary blend of herbs in supplement form to help you reduce inflammation. I hope you found this information helpful. Please make sure to share this with others. You now just have to take the next step to implement. I’m here every step of the way for you! Do You Know Sciatica Pain is NOT Helped by Medication? Are you suffering with sciatica pain? 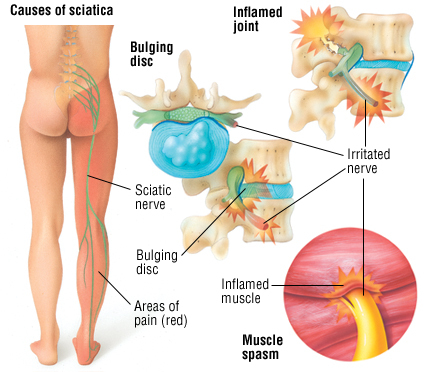 Sciatica is pain that goes down your leg. You might feel it starting from the lower back. It can travel by the hip, into the thigh and all the way down the foot. It can present as pain, burning and even numbness and tingling. The cause of the sciatica pain can be from the vertebra of the lumbar spine or pelvic region misaligned putting pressure on the nerve. You can also have bulging or degenerating discs putting pressure on the nerves. A highly overlooked cause is the piriformis muscle impinging the nerve. The pain can be extremely uncomfortable leading patients to contact their doctors. The medical doctors prescribe a myriad of drugs from pain relievers, muscle relaxers or anti-inflammatories. BUT… it’s important that you know that studies show drugs are ineffective in treatment of sciatica pain. The British Medical Journal article: Drugs for relief of pain in patients with sciatica: systematic review and meta-analysis reviews 23 previous studies on medical treatment of sciatica. Researches conclude that none of the drugs in the study (NSAIDS, corticosteroids, antidepressants or opiods) were any more effective than a placebo in relieving sciatica pain. These drugs aren’t only ineffective in treating sciatica but also have severe side effects. It is therefore recommended to avoid medication and seek treatment that addresses the actual cause of the sciatic pain. Chiropractic is a natural, gentle, effective treatment that corrects the cause of sciatic pain. Our Freehold Chiropractor, Dr. Russell Brokstein, uses a combination of adjustments along with therapeutic stretching to remove pressure from the nerve. Watch the video below of one of our patients tell her story how she finally got the relief of her pain after failed attempts with medications. Our treatments remove the cause rather than masking symptoms. This eliminates the risks you take with drugs. If you suffer with sciatica pain and live in central NJ Click Here! You will finally start to feel better and enjoy life once again.